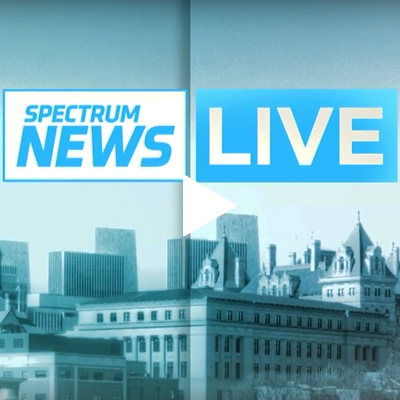 What we’re looking for: The Senior Broadcast Engineer will work with the Spectrum Networks Engineering team to execute and distribute live and preproduced News and/or Sports content to cable subscribers. This position will take the lead and/or delegate the set-up, configuration, maintenance, diagnosis and operation of a broad spectrum of broadcast systems and equipment. Provide advanced level technical support of broadcast related operating systems. Provide hands on engineering support at the client, hardware and software level, including evaluation and resolution of technical issues affecting the network in the following areas where applicable: Studio Production, Master Control Operations, Transmission (including Satellite & IP topologies) and/or Ad Insertion, Newsroom, Remote EIC and/or Remote Sites, Post] production and/or Long Form Edit, Digital Asset Management System, Communications System (intercom), and Graphics/Creative Services. Design, implement and/or install Broadcast Systems such as Broadcast Router, Camera Robotics System, Production Truck, RTS system, etc. Work with vendors or other engineering personnel to troubleshoot equipment issues, install system updates and version upgrades. Maintenance and repair of broadcast related hardware and software systems. Participate in a formal incident rapid response process for high priority incidents with the ability to make decisions critical to returning the network to normal service. Train Operations/Engineering personnel and develop training criteria. Articulate concepts and solutions. Lead installation or fabrication of materials for new or modification projects. Read, approve and maintain System Documentation as well as review and approve documentation submitted by Associate and Broadcast Engineers utilizing Microsoft Office and any of the following: Visio, AutoCAD and other documentation methods. Monitoring, testing, measuring and calibration of critical systems. Support On-site and Remote productions as an Engineer in Charge. Communicate major outages to other team members and department managers. May lead, assign, train, schedule and oversee the work of others. Maintain and post Engineering schedule with approval of engineering management. Apply proven communication, analytical and problem solving skills to help identify, report and resolve issues in order to maximize the benefit of the systems investment. Functional ability of IP networking and cross-platform operating systems and applications. Ability to adapt to rapidly changing circumstances and solve complex problems while demonstrating a positive attitude and positive approach. Subject matter expert in at least two of the following areas: Studio Production, Master Control, Camera, Robotics and Tally, Transmission, Newsroom Systems, Remote Productions and/or remote sites, Post-Production and/or Long Form Edit, Digital Asset Management Systems and Media Storage Systems. Assist personnel with engineering-related issues while demonstrating professional behavior, including strong customer service skills. Ability to interface with internal company personnel, external customers and vendors. Ability to install and/or support cross-platform systems. Proficiency with Microsoft Office, Visio, and AutoCAD. Ability to apply terminations/connectors to various types of network cables such as coaxial, twisted pair, and optical fiber cables that carry SDI video, AES audio, RF and IP signals. Connector Types include BNC, N, F, RJ-45, and D-sub-miniature. Broadcast equipment knowledge/experience at the senior level should include: Routing Switchers, Production Switchers, Studio Cameras, Newsroom Systems, Production Automation, Master Control Systems, Digital Asset Management Systems, Terminal Equipment, Encoders, Decoders, Video Test & Measurement, Media Recorders, Video Servers, and Post Production. Practical knowledge of electrical systems, generators, UPS, plumbing, HVAC and basic construction techniques where and/or as applicable. Maintain and grow technical job knowledge. In-depth understanding broadcast standards preferred. Knowledge of Audio/Video over IP. Assist and advise facilities department regarding issues that affect broadcast operations where and/or as applicable. Responsible for maintenance and documentation of station fleet where and/or as applicable. Must be willing and able to drive a company vehicle to and from assigned location while obeying all traffic laws. Bachelor’s Degree in Engineering/technical discipline or equivalent combination of education and experience.